Home > Archive by Category "Distracted Driving"
Distracted driving is one of the highest causes of accidents on our roads today – and one of the most preventable. While our government has been cracking down on the laws circulating this problem, people continue to partake in distracting activities while behind the wheel – perhaps taking a look at some of Canada’s distracted driving statistics will help us change our attitudes towards this dangerous behaviour. While cell phones are the most common and dangerous cause of distracted driving in Canada, they are not the only things considered to be a distraction by law. Eating or drinking, applying makeup, rummaging through your purse or wallet, speaking with other passengers in the vehicle, fiddling with your GPS or the radio, and lighting a cigarette are a few other examples of activities that can very easily and very quickly steal your attention from the road and your surroundings. The legislations regarding distracted driving in Canada vary between each province and territory in Canada, however each jurisdiction is beginning to implement more serious consequences for such offences. 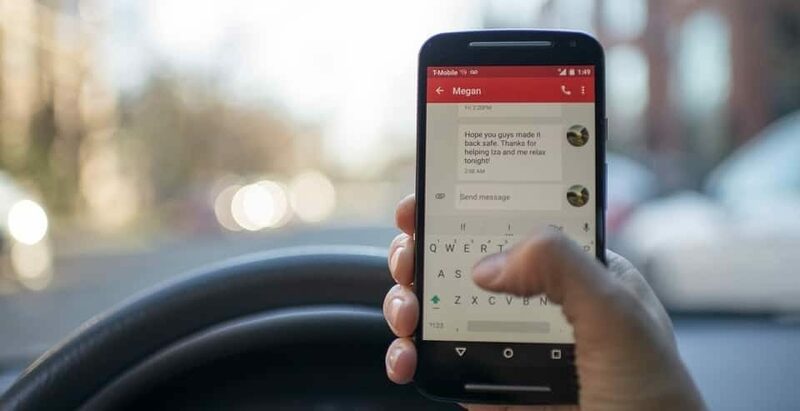 In the Canadian Province of Alberta, the fine for distracted driving is $287, and is accompanied by a penalty of 3 demerits from your driving record. Other provinces, such as British Columbia and Nova Scotia have a ladder style system – for accumulative offence in the period of one year the fine amount will increase. Repeat offenders will also be subject to driving record reviews and could be faced with license suspension for a period of 3-12 months based on their driving history. As you can see, our government does not take the threat of distracted driving lightly, and neither should you. Distracted driving takes your eyes and mind off the road – do yourself and everyone else on the road a favour and think before doing anything that may take your attention of the road. No text message, fast food item, tube of lipstick, etc. is more important than your life or the life of an innocent passerby.